resulting in superior quality by some of New York City's most creative mixologists and sommeliers. 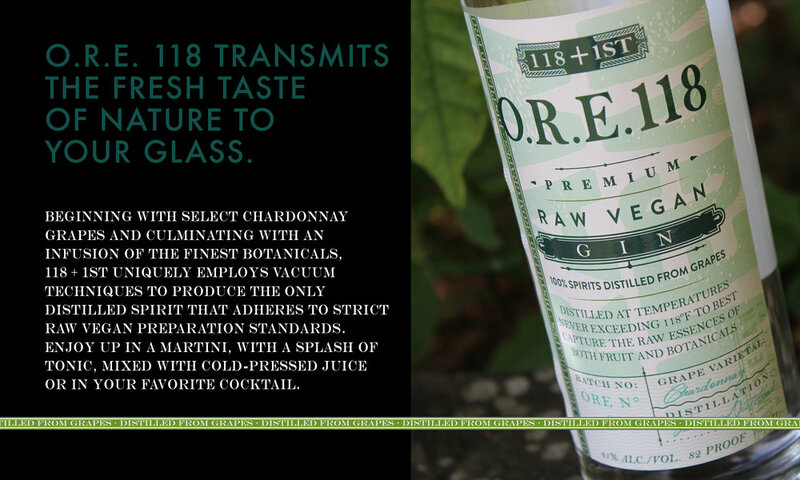 Shake up your next dining experience with a creative cocktail crafted with O.R.E. 118 Gin, infusions and garnishes. O.R.E. 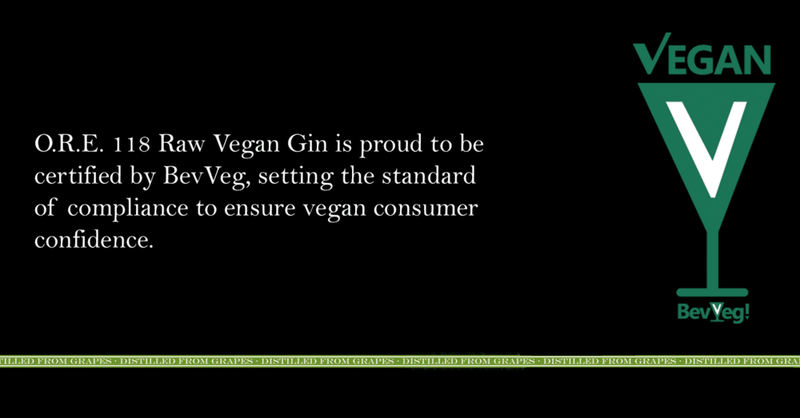 118 Gin is enjoyed by vegans and omnivores alike. Enjoy up in a martini, with a splash of tonic, mixed with cold-pressed juice or in your favorite cocktail. Follow us in the news and on social media for the latest news about O.R.E. 118 Gin. Robert Elder wanted a Martini to go with his dinner, but the server at the raw vegan restaurant he took his family to wouldn’t serve him one. “I’m over 21,” he pleaded with the server. Regardless of legality, gin wasn’t on the trendy Manhattan restaurant’s menu. O.R.E. 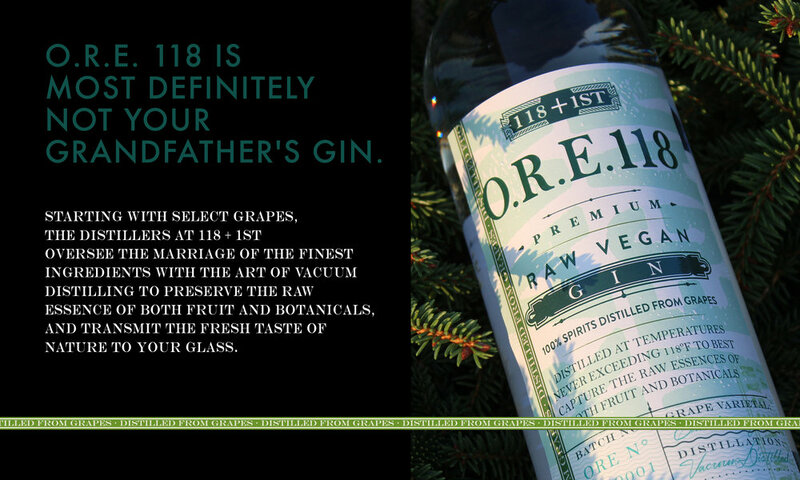 118 Raw Vegan Gin, the first spirit of its kind in the United States and the only spirit to be allowed a Raw Vegan claim on its Certificate of Label Approval, has launched in time for National Gin Day. 118 + 1st is proud to partner with @tribecagrill to support ASF’s Warriors in Motion Program, serving the "Keeping Resolution" cocktail at the 5th Annual Master Chef Celebration. We raise a glass to salute these amazing athletes and this wonderful organization.